Fix your wet basement with our proven products and expert installation. Keep water out of your basement or sub-floor void with one of our high-quality sump pumps. Learn why more homeowners choose our patented CleanSpace system. Basement Systems GB is the UK arm of the largest global network of basement /cellar waterproofing specialists. Our industry-leading technology is the result of over 20 years in the waterproofing business. Our products are time-tested and designed specifically for the unique basement and damp cellar environment. 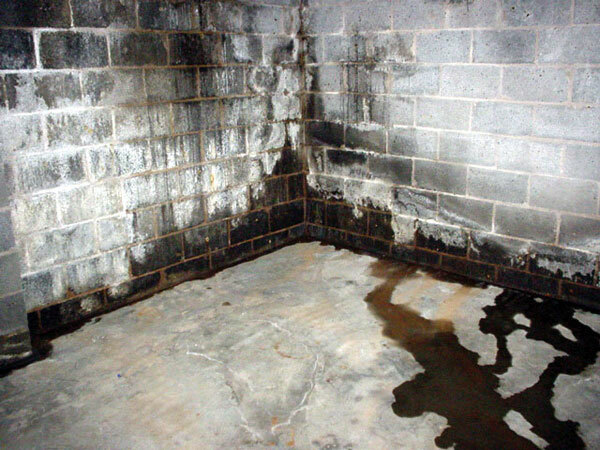 We offer a complete basement waterproofing system that can be customized to meet your unique waterproofing needs. We are committed to a healthier home for you and your family. Basement Systems GB operates at the local level to provide a local service to each and every household in the UK. With the expertise of a unique global company backing us, we have access to state-of-the-art waterproofing solutions that will solve your basement waterproofing and damp proofing problems once and for all. 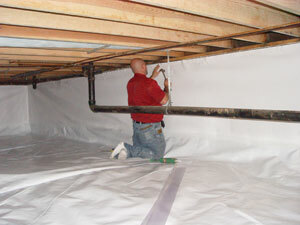 Basement Systems GB can solve your wet basement problems permanently and affordably. We are the only company across the whole of the UK that is a specialist with a clear focus on basement waterproofing solutions such as sump pump systems, crawl space waterproofing, and basement floor drainage systems. We offer a complete system of basement waterproofing products that address water and moisture issues with unique award-winning solutions. From our patented drainage systems to the superior performance of our Zoeller-powered sump pumps, we offer proven and customized solutions that are affordable, can be installed quickly, and are much less invasive for the homeowner. In a short period of time, we will have your basement and crawl space waterproofing project completed - ready for the whole family to enjoy. 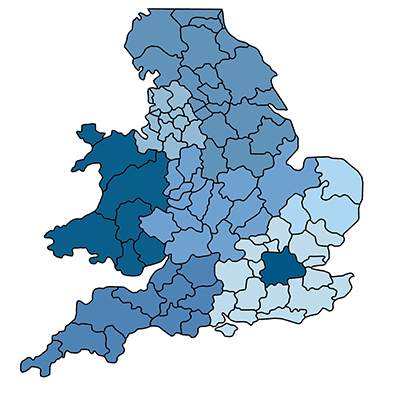 We service London, Birmingham, Manchester, Bristol, Harrogate, Liverpool, Sheffield, Leeds, Bristol, Leicester, Edinburgh, Taunton, Redditch, Andover, Weymouth, Trowbridge, Chippenham, Banbury, and many cities in the UK, Scotland, and Wales. Contact us today for a free survey and estimate! We have been very impressed with your company. It is only two weeks ago today that we first talked to you about the problems in our cellar. Now the work proposed by Tim has been completed and we feel much more relaxed about the future weather. All along we have felt comfortable with your proposals and that we were in experienced hands. Yesterday Shaun arrived before 8 am and didn't leave until almost 8 pm when the work was fully completed. He worked very hard all day and treated our house with respect. He was polite and courteous and happy to answer any (probably silly) questions we had. It has been a pleasure to engage with your company and I would highly recommend you to anyone facing the issues we had. You may be interested to know that we contacted another, more local company on 31 May and we are still waiting for their proposals!! We offer a variety of home improvements and repairs for individuals who need work done on their below-grade spaces. Whether you're looking for basement waterproofing or crawl space waterproofing, our certified professionals are here to help you! We provide homeowners with a full line of products and services connected to basement waterproofing, including drainage systems, sump pumps, and many options for your discharge line. Our full perimeter waterproofing system includes a written, transferable warranty, and can be installed quickly by our experts -- usually in less than two days. Don't put up with a damp, musty crawl space when you could use the space for storage! The CleanSpace crawl space waterproofing system installed by our in-house staff here at Basement Systems GB is the ideal way to keep your crawl space clean and watertight. Our system includes a waterproof design that does not support mould or mildew, while featuring industry-leading insulation.